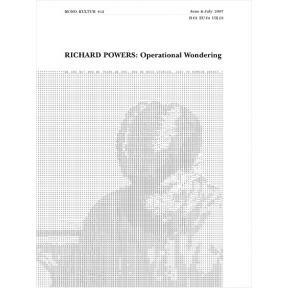 Richard Powers is one of the most important voices in American fiction today, often being mentioned in the same breath as Thomas Pynchon, Don DeLillo or David Foster Wallace. His ninth novel, ‘The Echo Maker’, won the acclaimed National Book Award and was nominated for this year’s Pulitzer Prize. As well as a stunning sense of language, Powers has a unique gift for interweaving fact and fiction, drawing upon diverse areas of science and history as an archive of ideas and metaphors for the human condition. In our most challenging interview yet, Richard Powers talked about his childhood experiences growing up in Thailand, the state of the novel in the digital age and why the brain is the ultimate narrator of our personal lives. The issue is illustrated entirely by ASCI in a beautiful silver sheen.